Archive by category "Well Pump Services"
We are your Houston Area pump repair experts. 77 Water Well provides the highest quality products and services in the water well and pump industry. As a family owned and ran business, we focus on the individual needs of our customers. We respond quickly to troubleshoot, diagnose and repair the issues with your water system. We are particularly aware of the issues a person faces when your family depends on a water well. We do our best to arrive in the shortest time possible, keeping costs low and turnaround times at a minimum. Your family is your most important priority so call us today for a quote! 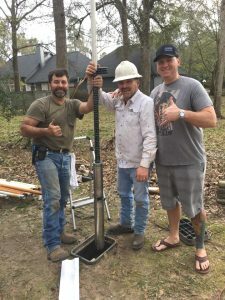 We offer 24 hour water well drilling and services at affordable prices. No job is too big or too small. Our trained professionals on staff to come to your rescue. Call 281-456-4556 or email us at service@77waterwell.com to schedule an appointment.